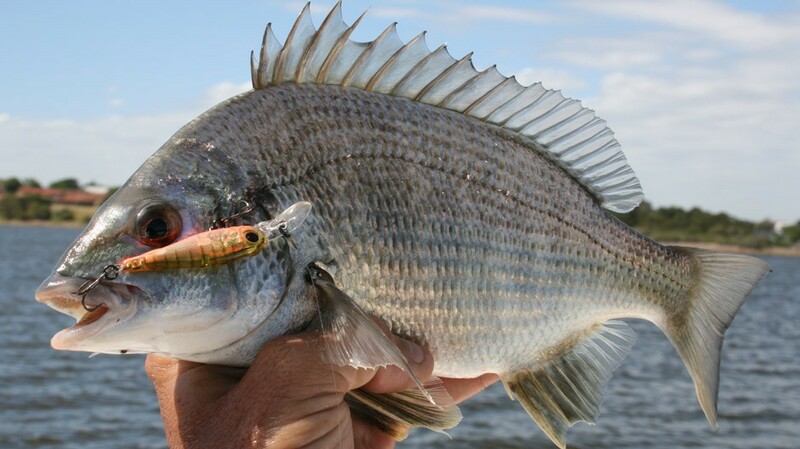 One of the prime winter species in southern waters, Bream do not hold the same affection of Tropical anglers, probably due to the variety of other species available to us. 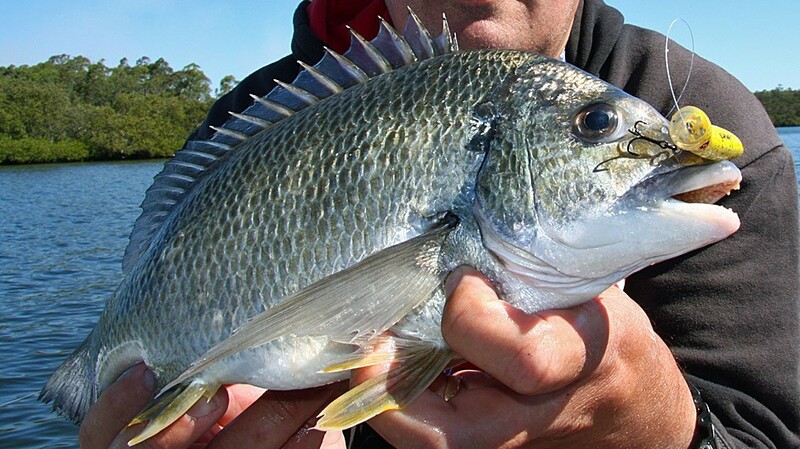 There are however two main types caught in our estuaries and river mouths, the Silver Bream and the Black Bream. Both fish are easily identified and as their name suggests the Black Bream show almost a charcoal grey colouring while their brighter cousins are predominantly bright silver with yellow fins. The former fish should not be confused with the Sooty Grunter which is also known as the Fresh Water Black Bream found in our fresh water rivers. These fish too are more common in our waters during the cooler months from June to September when large schools of prime breading fish congregate on any estuary or tidal river structure to spawn. The old submarine boom gates out from the Esplanade flats offering great numbers of these fish at that time of year. They are excellent fighting fish on light 3-6kg tackle, putting on a show befitting a much larger fish. Many are lost to the structure they frequent, so deft rod work during the early stages of the fight is paramount. Specimens to 4lb are quite common. When in their aggressive pre spawning mode they will attack most baits with gusto, even destroying quite large baits, live sardines, mullet etc meant for much bigger fish. Fresh live prawns would have to be the number one bait for our local waterways and bream are no stranger to these. Use a running sinker rig, No 3 ball sinker and 25lb mono leader. Remember that these fish are here on a mission, to reproduce the species, and whilst it is great to catch such fish when they are so active, take only what you need and don’t keep catching just for the hell of it. Size and bag limits do apply.